Nelle Harper Lee wrote a seminal work of fiction in the 20th century: To Kill A Mockingbird. It would be the only published work the Alabama author would give to the world, but it was more than enough. The book was ground-breaking in so many ways. Published at a time (1960) when the eyes of America, and indeed the world, were focused on civil rights in the South, where the shameful ugliness of racism was brought front and center into the living rooms of millions of people and its dastardly proponents – Strom Thurmond, George Wallace, and the Ku Klux Klan, to name just a few – spewed their vitriol in thick-tongued, ignorant voices that I sincerely hope (a lot of this happened, including this book, before I was born) embarrassed and discomfited most Southerners, To Kill A Mockingbird showed a decent South, a fair South, a kind South, and a principled South in stark contrast to what was played out as the South in the rest of the media. Harper Lee wrote against the tide of her time and of her state of birth. That act took courage. That act took fortitude. And that act took strength. Lee was unprepared, in large part because of her temperament, for the crush of publicity and visibility that the immediate success of To Kill A Mockingbird brought with it. The author vowed, after a short uncomfortable stint in the limelight in the year after the novel’s publication, never to publish anything again. Lee left New York and returned to live with her older sister, Alice Lee, in their hometown of Monroeville, Alabama, where the author lived a quiet, reclusive, and insular life, hidden from the public view. Alice, an attorney, handled all the publishing and legal affairs around it, for Harper until Alice’s death in November 2014 at the age of 103. Harper suffered a stroke several years prior to Alice’s death and the stroke caused enough neurological damage to begin Harper’s journey into dementia. Additionally, she had become profoundly deaf and was almost blind at the time of Alice’s death. Three months after Alice’s death, Tonia Carter, an attorney with Alice’s law firm in Monroeville (who had taken control of Harper’s affairs – whether sanctioned by Alice or simply because she could is unknown), announced the “sudden” appearance of a new Harper Lee manuscript (entitled Go Set A Watchman) that Harper had “forgotten about,” but had agreed to publish now that it had been discovered. For those of us who knew Harper Lee’s testimony that she would never publish a book again, this threw up many red flags. Because I knew that Harper had suffered a stroke and was on the dementia journey, I got angry because I knew she was being taken advantage of and somebody – Tonia Carter and others – were guilty of elder abuse and cashing in on the name and legacy of someone who was helpless to fight it (and with Alice gone, had no advocate to fight for her) and who was not involved in any way, shape or form with this book. 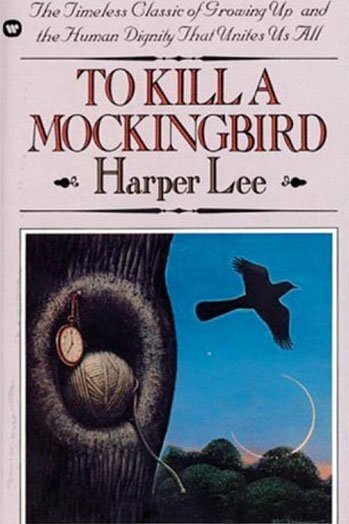 A horrendous act of fraud against Harper Lee and on the reading public was perpetuated and nobody batted an eye (the book was an instant bestseller, but it was not Lee’s writing, and it destroyed everything that To Kill A Mockingbird had created). 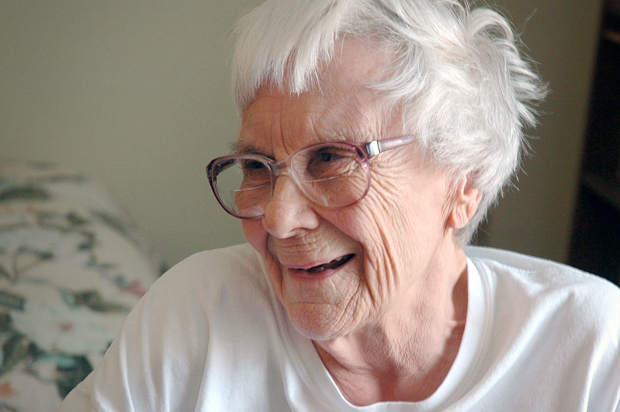 This fraud and elder abuse against Harper Lee is not just my opinion. It’s an open secret. For anyone who will take the time to think critically about the author, about the events after her sister’s death, when Harper was totally vulnerable physically and mentally, and do the research (I have from day 1 of that announcement), it’s clear that Tonia Carter, along with many others, are guilty of elder abuse against Harper Lee at the very least. It is reprehensible. It is a crime. And it is inhuman and inhumane. Would that I could take every vulnerable person in our society into my arms and under my wings for protection, care, and advocacy, because I would do it in a heartbeat. Unfortunately, I don’t have the kind of resources that would require, but if I did, that would be my life’s work. I have zero tolerance for this kind of behavior toward the vulnerable among us. And Harper Lee was one of those in her final years. 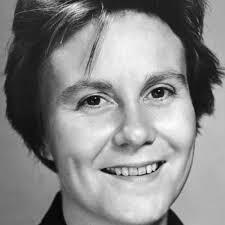 Harper Lee died on February 19, 2016. Like you, I knew what they had done to Nelle Harper Lee. Our society is full of those that use and abuse those that cannot defend themselves. I saw this with the female business partner of my brother J.R. I lived too far away to know what she was doing until she had control of everything he owned. All I could do was go to Arizona and rescue him from this horrible woman and her 2 grown sons. So sad that Nelle Harper had no one to protect her when her sister died. It is such an outrage and it would seem that some prominent person or even the government should have stepped up and protected Nelle. I understand how you feel about wanting to take those that are abused and protect them, I too feel that way. Like you, I do not have the resources. This world is truly a mess – and all of the mess is caused by the human race. I hate that happened to your brother, Liz…it happens way too often and Harper Lee is just one of too many to name who has suffered at the hands of others when she was most vulnerable and most needed protection and advocacy. I will never forget people telling me when Mama was still alive to just put her in a nursing home so I could get on with on my life because “she wouldn’t know the difference anyway.” It appalled me then and it appalls me now. She deserved the best and she deserved my all – she didn’t walk away from me when I was a sleepless, very sick, screaming baby who deprived her of sleep for a year, or when I was a curious, mischievous kid who was always into something (and did many things that could have killed or severely injured me as a result), or when I was a difficult adolescent, or when I was a strongwilled and sometimes obstinate human being (I’ve struggled with this all my life). She was there. And she loved me. I promised Daddy I would take of her and I promised her. Unconditionally. To the end. Because I chose to be there. And I loved her probably far more deeply than I ever conveyed or she ever knew. You did a very good thing when you were your Mother’s caregiver. You did all and more for your Mom. I had to put my brother in the nursing home the last year of his life. I fell, had a severe concussion, which messed me up for 6 months, my husband was ill with COPD from almost dying 3 yrs. ago. We were older than my brother, we were not able to continue with his care. All he did was escape and cause us and the police hours of work to find him. If you blinked your eyes he was gone into the woods. Never wanted to put him in a nursing home – I never want to be in one in my lifetime. We did keep our Mother out of the nursing home until the last month of her life, which I felt was the best we could do for her. Mothers are so special and they do deserve all that we can do for them when their journey is nearing the end. It is hard to get over losing Mom, for sure – in your case and mine both. Sandra, I hope you do not mind, but I have mentioned you in my blog post today and added a link to this page. I think it is about time people get their heads out of the sand and realize what is important in this world. I guess I should have gotten your permission first, If you are not pleased with what I did, let me know and I will delete my post. I don’t mind at all, Liz. You never have to ask. I appreciate you helping get the information out and I very much appreciate you reading the blog, your insightful comments, and your friendship. It matters and I’m thankful for it. It was overwhelmingly clear that Go Set A Watchman was the first draft, and I can’t imagine that any author with all their mental capacity still intact would agree to have a rough and very early first draft published all these years later. Especially when she had always gone out of her way to avoid publicity. VERY sad. Very sad, indeed, Edna. As I watched this from the beginning with the announcement of “Go Set a Watchman” being published, I knew that this was not Harper Lee’s doing nor with her consent or approval, but instead a vulnerable and helpless elderly woman with dementia being taken advantage of (I can guarantee that her estate is going to Tonia Carter as a “trustee,” with unfettered access to the millions of dollars it earns each year) with no one to stop the perpetrators. These kinds of things light a unquenchable fire of outrage in my belly. It s amazing to think how much time we spend looking after our physical health and how little we spend looking after the health of the mind.